This gentleman is way ahead of us. Camping is and always will be thermite-hot for the hipster legions. What better way to let everyone know that you’re in touch with nature yet maintain the rustic qualities of your great-great grandfather than spending the night like a homeless person in the middle of the wilderness. Backpacking with minimal supplies has long been an upper echelon activity of top-tier, short-brimmed hipsters; especially if it involves canoes or even better, kayaks. Alas, as many hipsters approach middle age; backs are beginning to ache, and the taste of trail-mix no longer appeals to our refined bone-marrow slurping palettes. Hell, not even an entire bag of straight peanut M&Ms are enough to motivate us to go camping anymore. So, what to do? Do this! 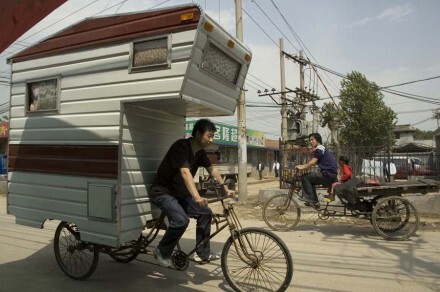 Build yourself a quasi-vintage pedal-powered RV! First off you’ll need a sturdy vintage bike. 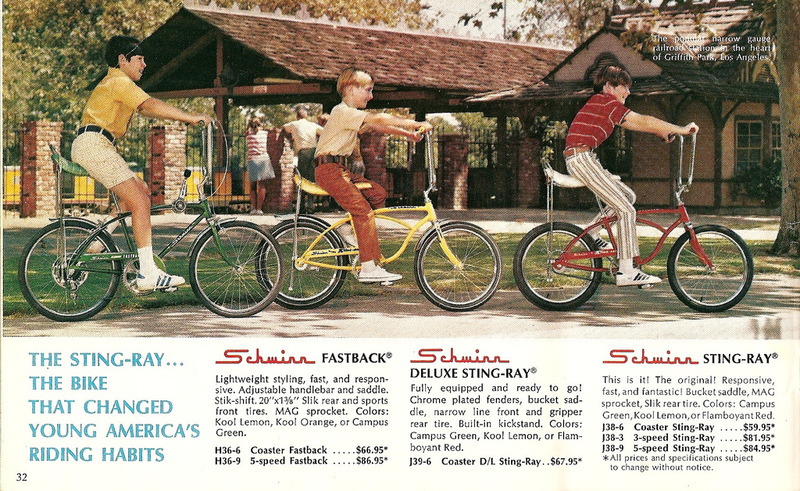 Anything but a Schwinn will do, Schwinns are OVER, every hipster and their sibling have scoured Craigslist for stick shifting Stingrays long ago and parted them out to sucker wanna-be Kevin-level hipsters for quick beard wax cash, don’t go there. Higher trendtron points are always rewarded for obscurity. Why not try to procure something of Dutch origin, like a Hollandia Oma? Next you’ll need some basic welding skills. Frankly at this stage in the game you should be well prepared for this and are probably already smelting your own iron and forging your own steel. I’ll assume you know your way around a welding torch and have advanced engineering skills for the remainder of this article. If you don’t, hell, I’m not going to hold your hand. Even the lord of all hipsters, Bob Dylan, knows the difference between MIG and TIG. Get down to the public library (the Internet is for sheep) and read up on it. Consider this tough love. You’ll thank me later. 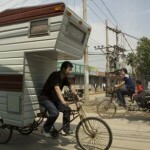 Build a frame around the bike with plenty of room for a bed in back and a kitchen in the front. Next, the walls and ceiling. You may want to skip the reclaimed wood on this one as you’ll want it to be sturdy when you’re cycling your portable habitat up the interstate (in the left lane of course to promote bicycle awareness). Please don’t just get some almond hued aluminum siding and make this thing look like a freaking Coachman. It’s imperative that it looks like it’s from the 1950’s. 1954 would be ideal because it doesn’t yet resemble anything about 1960. Here’s a quick google image search to give you concept and design ideas. Now that you’ve completed your eye-turner, on to the good part, turning eyes!!! “Whoa, cool!! !” normals, and far more importantly, hipsters will gasp. “Is that a bike inside of there? That’s awesome!” Don’t acknowledge them, they will follow you like the pied piper to your campsite. Pull up smugly and level your mobile domicile with a multitude of configurable articulating arms, a.k.a. kickstands. Exit your tram of one and continue to ignore them as you crank your pop-outs and prep your kitchen for a quick vegan zucchini-only BBQ. Now that your set up is ready, finally make eye contact with the hordes of gobsmacked adoring onlookers. “I just think that we all need to consider more sustainable means of transport and recreation,” you can dismissively mutter. “I mean, (gaze over at the nearest Jayco Eagle 312), just look at that thing, what does that thing get for gas mileage? 0.21257185375 kilometers per liter?” They will be eating from your hand. You’ve showed them all the errors of their ways, again, even if you don’t know why. Note: Advanced hipster options for this trend include but are in no way limited (we have no limits) to: Airstream emulations, side cars, fixed-gear RV bikes (hot), bicycles built for two, bicycles built for six to nine, unicycle RVs, pedal powered wifi hotspot for retro web browsing, etc. Move on this NOW!